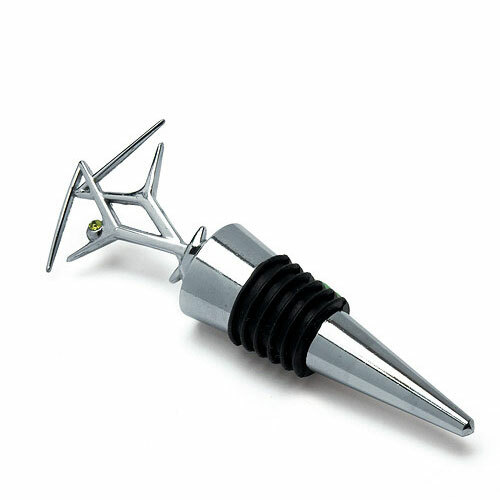 The contemporary design of this Cocktail Wine Stopper is a sophisticated twist. The olive green crystal adds a pretty touch of color and sparkle. 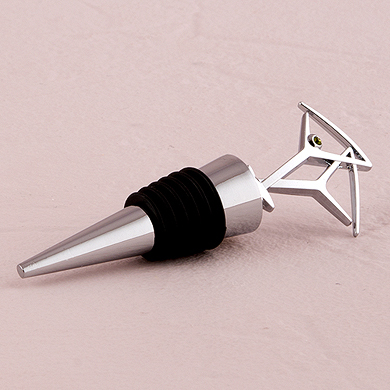 Perfect for cocktail parties, weddings, or couple showers. 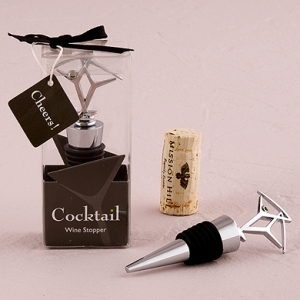 The dramatic gift box ensures a stylish presentation and includes black grosgrain ribbon with a gift tag that reads "Cheers". Made of alloy metal and aluminum with chrome plating.